New Edibles to grow for your Table | Horticulture Talk! From Containers to Your Table – New Edibles to Enjoy! 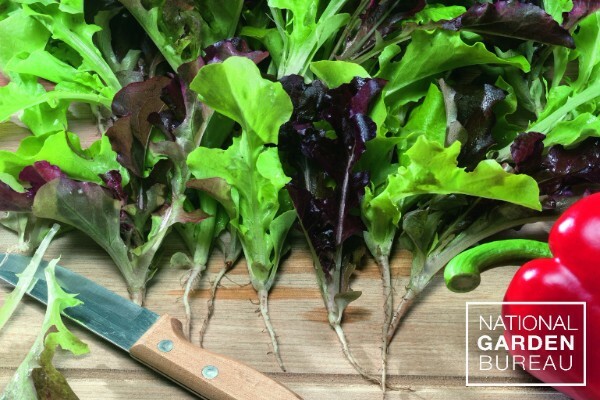 Take a moment to look through National Garden Bureau’s Member’s New Varieties for delicious and exciting new edibles for 2016! Don’t have the room for a garden? Don’t worry as the varieties shown below (and many others) grow spectacularly well in containers for urban/patio gardening. Give them a try and experience something new! Each year, NGB’s members submit their best new varieties for inclusion in NGB’s exclusive assortment of annuals, perennials, edibles and other plants that are new for your 2016 gardens. Stunning images along with descriptions and growing information of over 100 exciting new ornamentals, flowers and edibles are now available on the National Garden Bureau website. 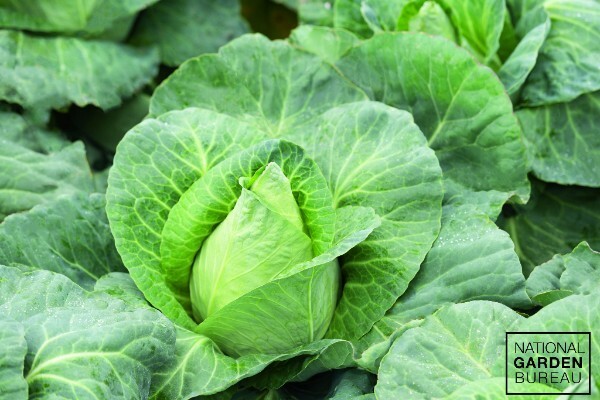 Shape and tenderness of leaves are the ideal option for making wraps or coleslaw. Sweet flavor and crisp texture combine to make Caraflex an ideal choice for slaw. 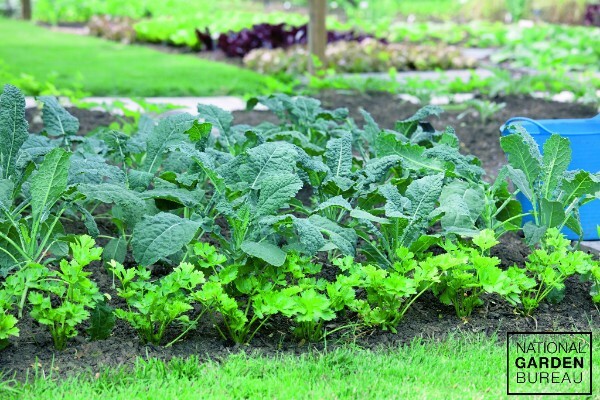 Gourmet kitchen mixture of best tasting lettuce varieties. Matures in 30 days for baby leaf. Leaf colors range from red, bronze, dark green to bright green with a mixture of leaf textures. 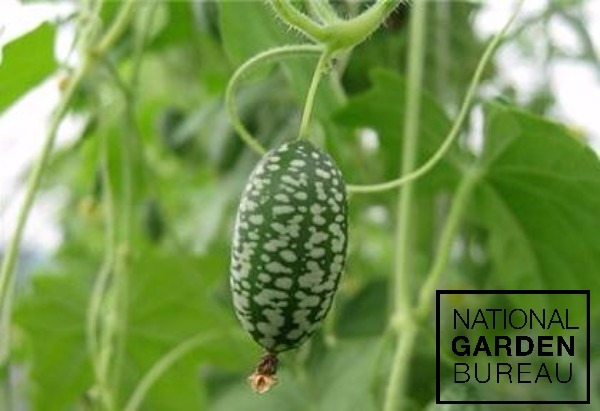 Cute, grape-sized fruits look like tiny watermelons but have a cucumber flavor, often with a hint of tartness. Also called sandita or Mexican sour gherkin. 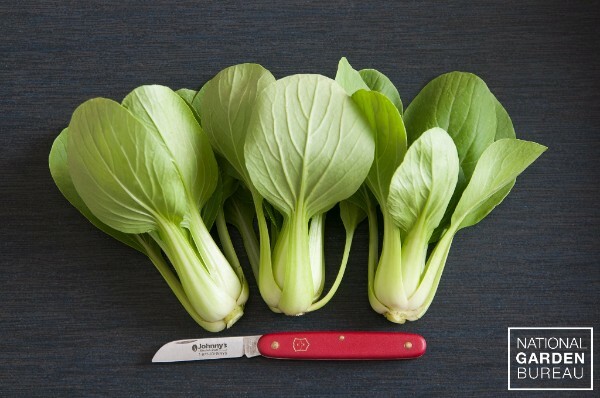 Unlike most Pac Choi, the heads are proportional and filled out when the plant is at the baby stage. Excellent for cooking whole or cut in half. A wonderful addition to your kitchen garden or window-box! 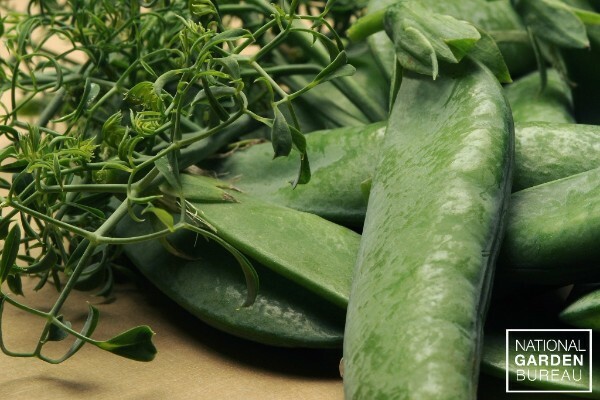 The pea foliage is ready in a month’s time for a delicate pea-like flavor as an edible green. 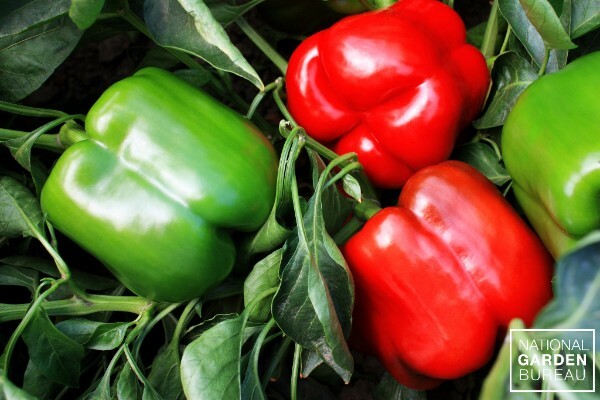 The huge, smooth fruit mature to a bright red, have a thick wall, and crunchy texture. Fruit are blocky, firm, and heavy for their size and set quickly to ensure a good yield.